Well, well, well! This is quite a tasty little biscuit, indeed. 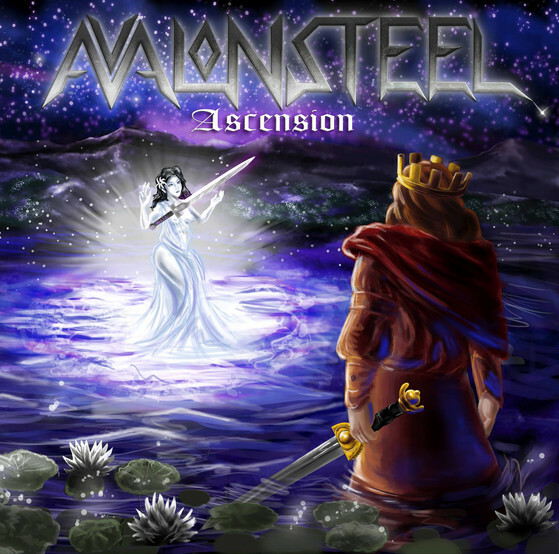 Avalon Steel is a young band out of Charlotte, NC, and they pay tribute to the greatness of the most bombastic of the metal genres - classic heavy metal, power, thrash, and doom, all rolled up into one great band. Plus, they have a dreamy lead singer - I'd share a chew toy with him any time. As far as the Ascension EP goes, it's a three track EP. Clocking in at just under 14 minutes, it's a fine effort from Avalon Steel. From the opening chords of The Winter King til the end of the thrashy goodness of Trapped In A Nightmare, it's a fun and varied introduction to an up and coming band that should be around and seeing some success in the years to come. As usual, Guinny, you're a complete muttonhead. Besides the lack of journalistic integrity, you completely missed out on mentioning the best song on the album: Curse Of the Doomwraiths. This raw, punk-infused doom anthem has my tail wagging and my head bobbing back and forth for the entire 4+ minutes. I fully expect to be listening to this EP for many months to come - it's the perfect length for a drive to the dog park, and about 3 times the length of Guinny's attention span. Guinny and Arthur are enjoying this EP very much, and thank Avalon Steel from the bottom of their food dishes for allowing them to review it for Corgi Metal Reviews. The consensus: Ascension is a short but fun and very hopeful glimpse into the future of Avalon Steel. They successfully mix several metal genres into a captivating EP that you'll listen to over and over. We can't wait for a full length album. Arthur and Guinny give Avalon Steel's Ascension 7 Derps out of 10.